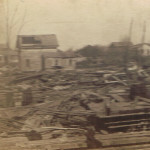 Track of the 1876 tornado. 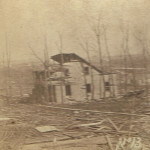 L. Eastman’s property after the 1876 tornado. 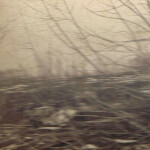 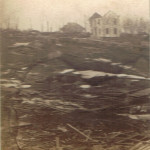 Mrs. Richard’s property after the 1876 tornado. 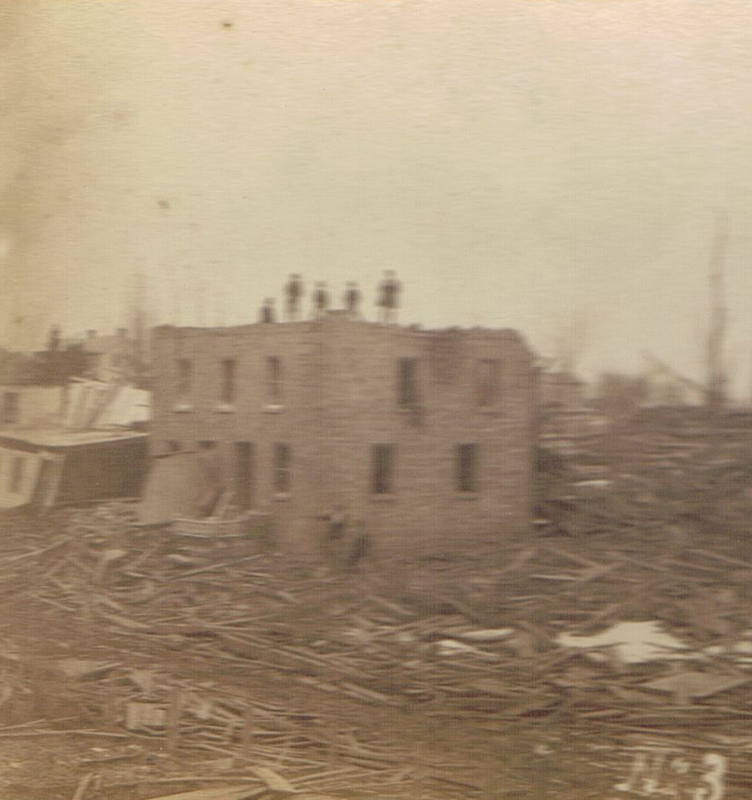 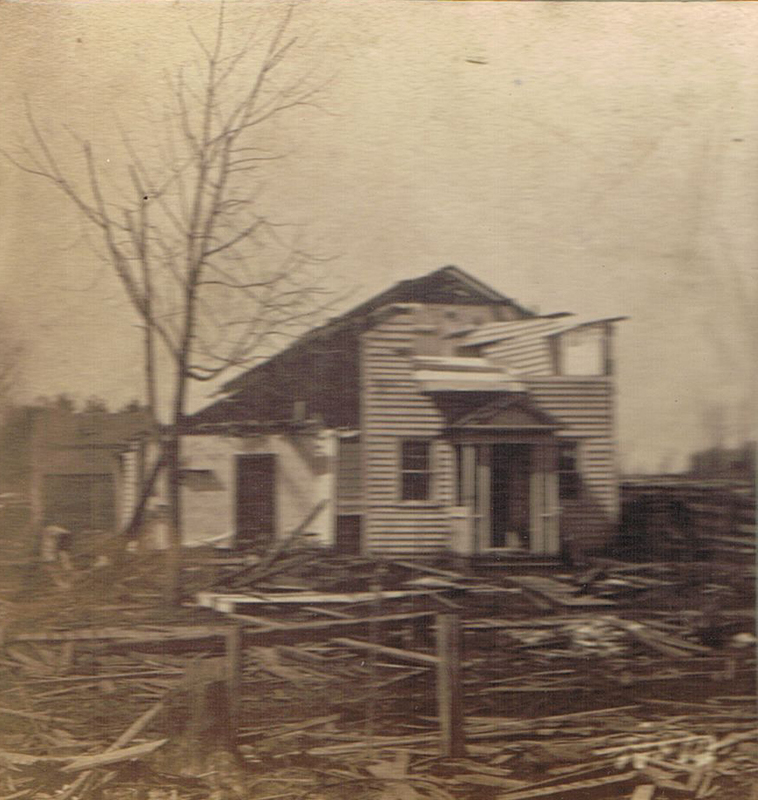 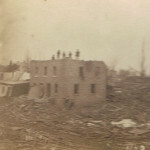 Odd Fellow’s hall after the 1876 tornado. 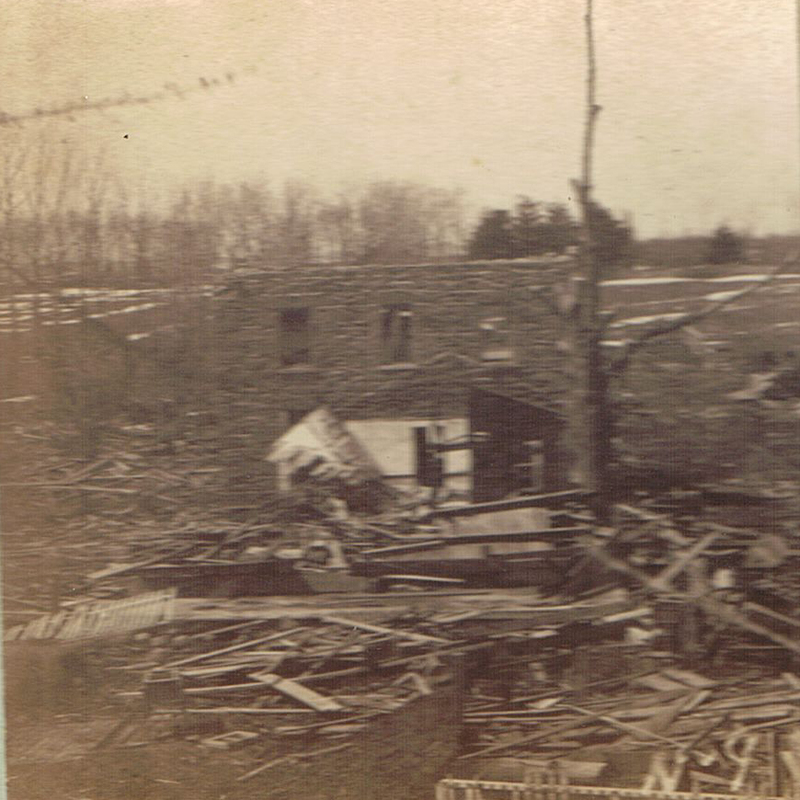 Rear view of Dr. Kittoe’s property after the 1876 tornado. 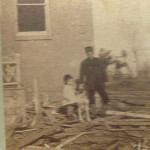 Thomas Major with his son and dog that were saved when a heavy carpet rolled up over the piano and pushed them under it to safety in the 1876 tornado. 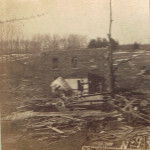 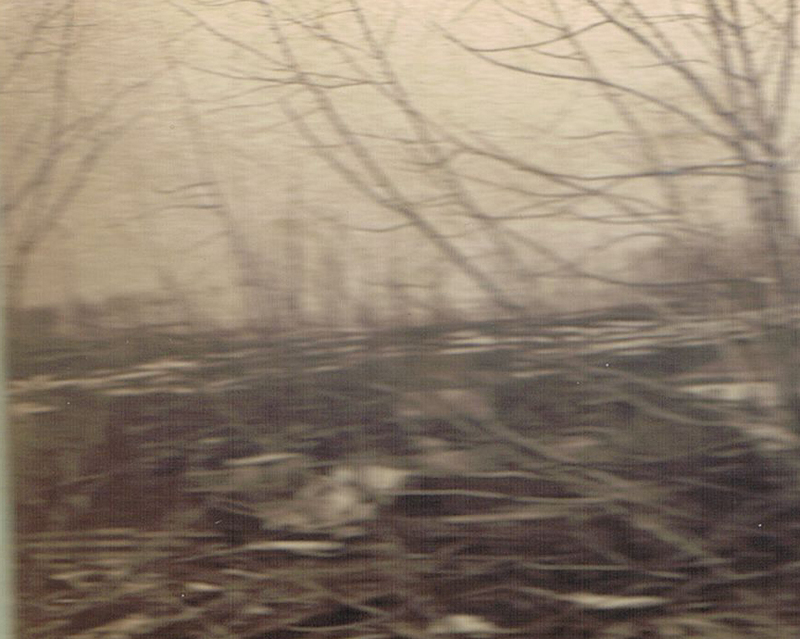 Rear view of Mrs. Richard’s property after the 1876 tornado. 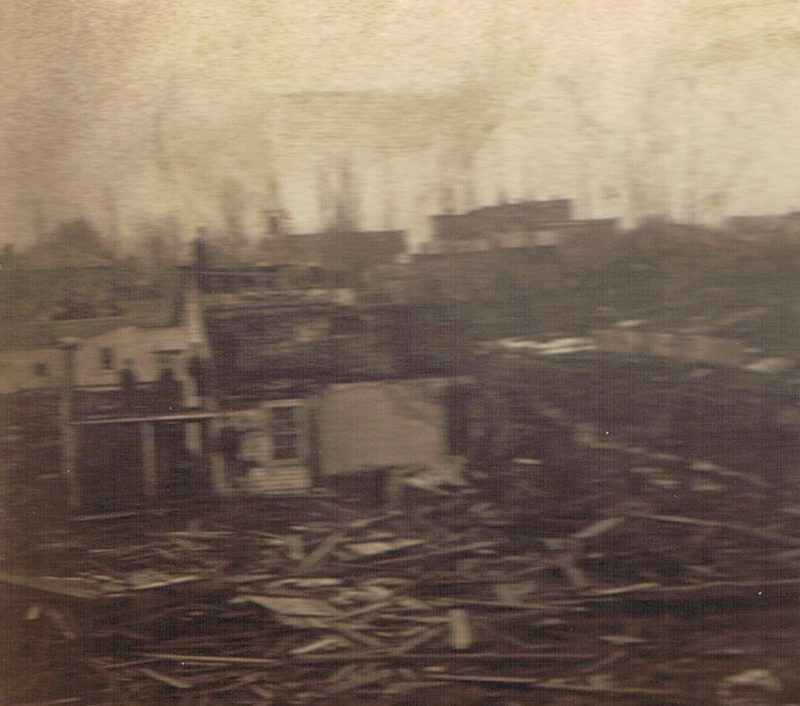 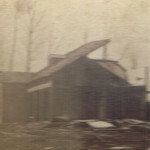 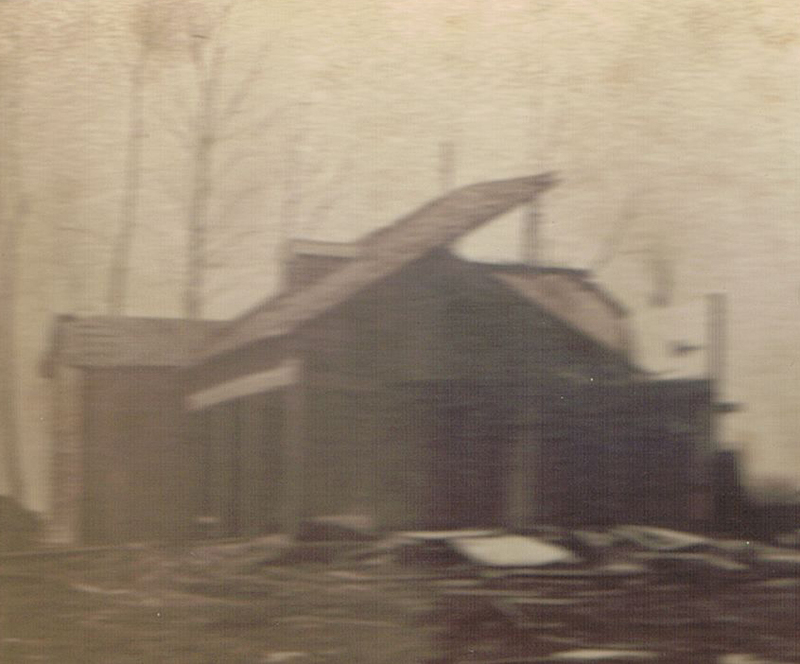 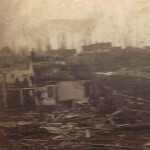 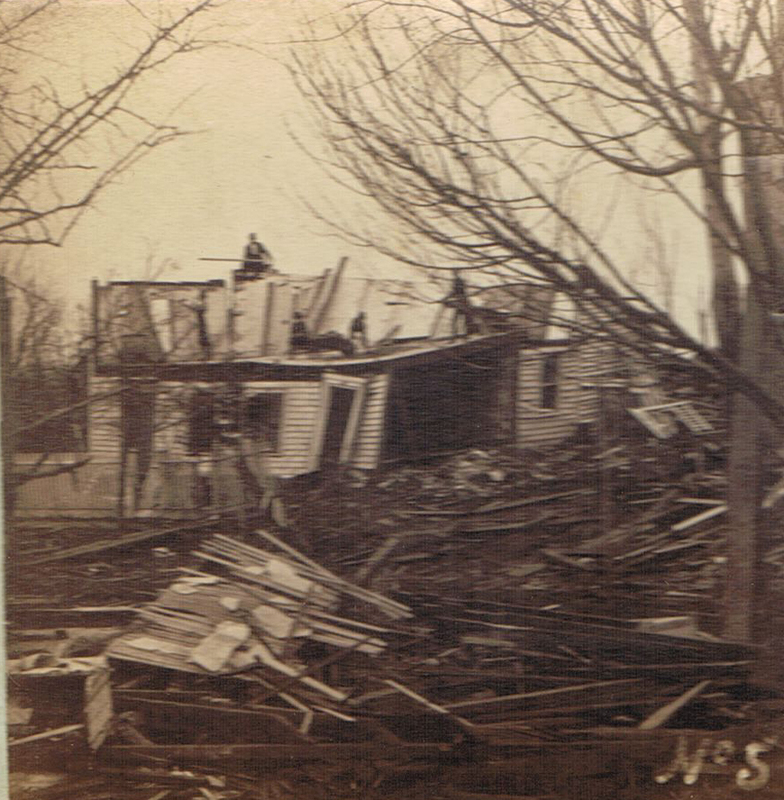 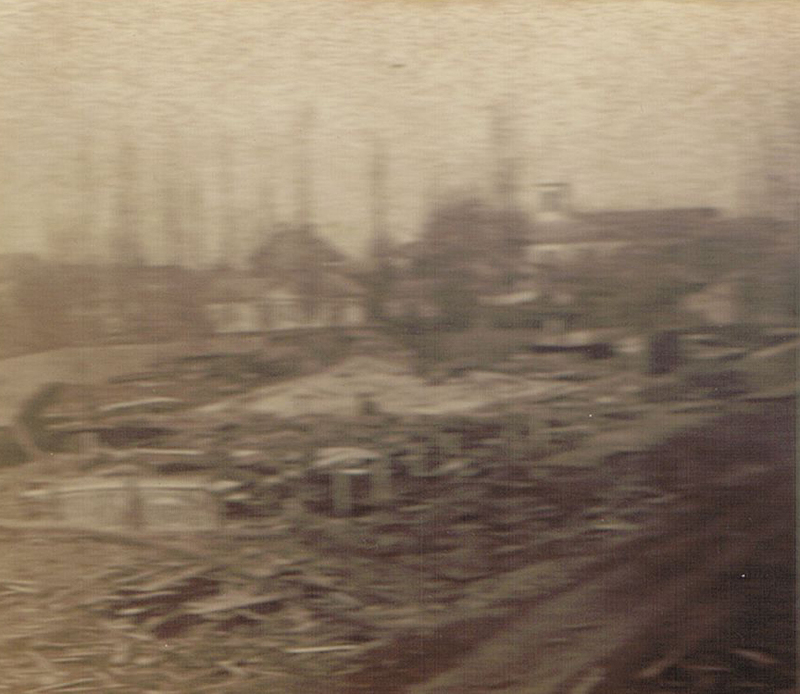 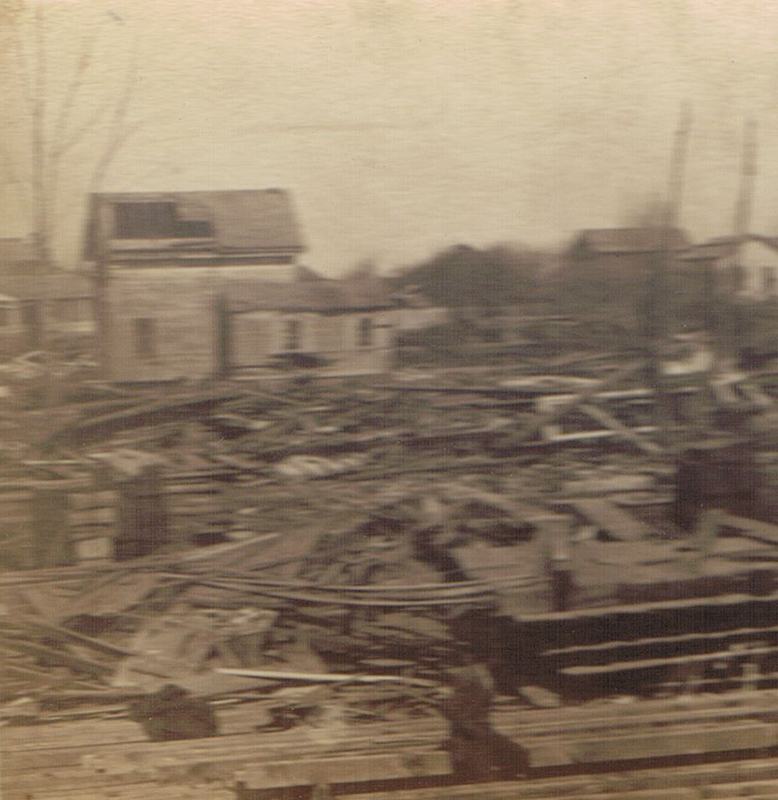 Schabacher’s shop after the 1876 tornado. 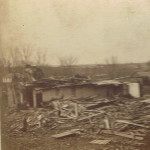 Mrs. Hobbie’s property after the 1876 tornado. 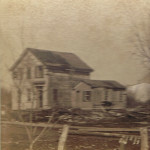 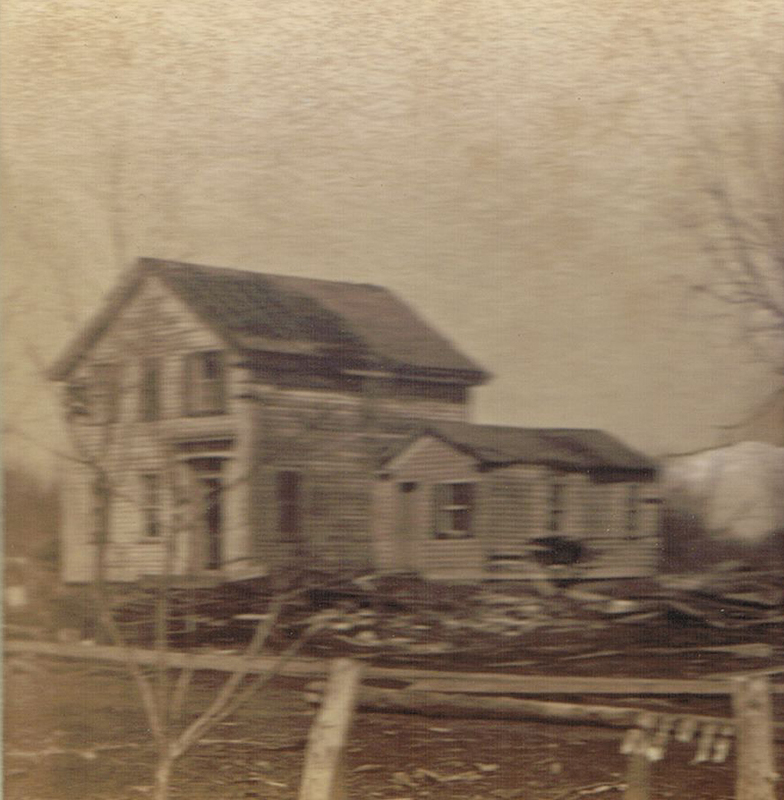 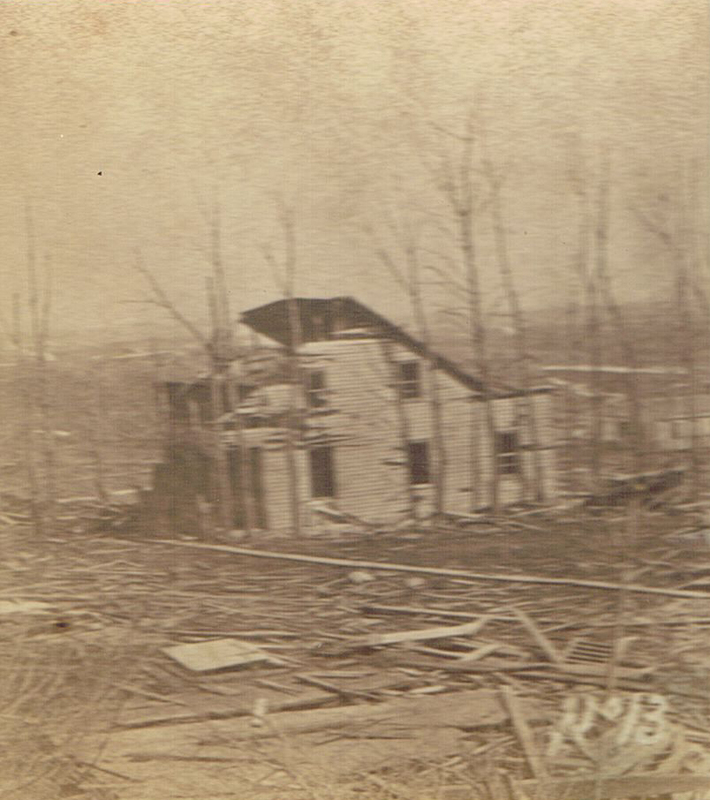 Front view of Dr. Kittoe’s property after the 1876 tornado. 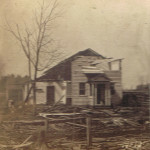 Methodist Church after the 1876 tornado. 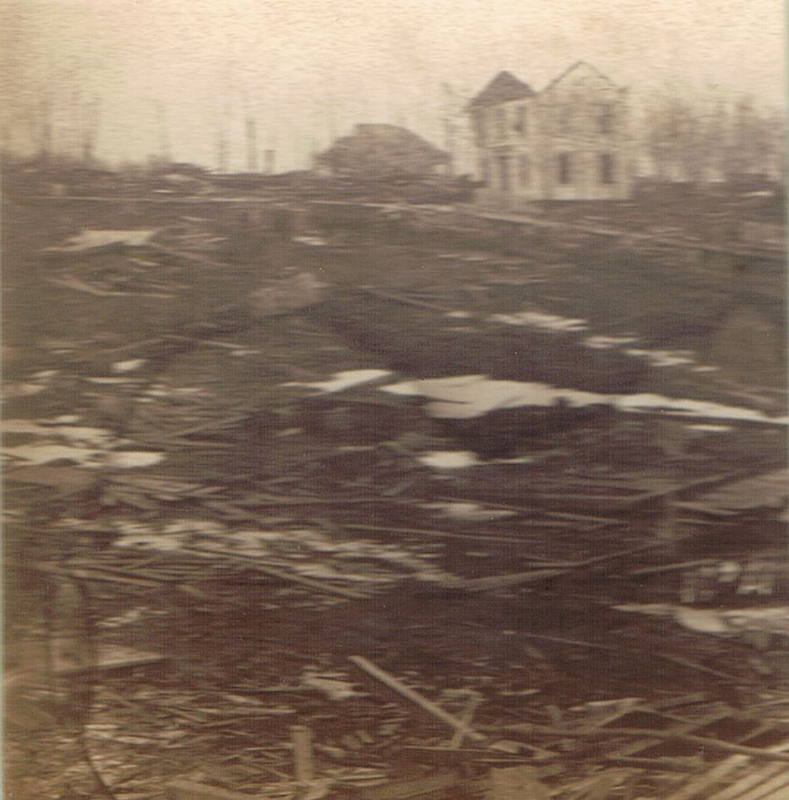 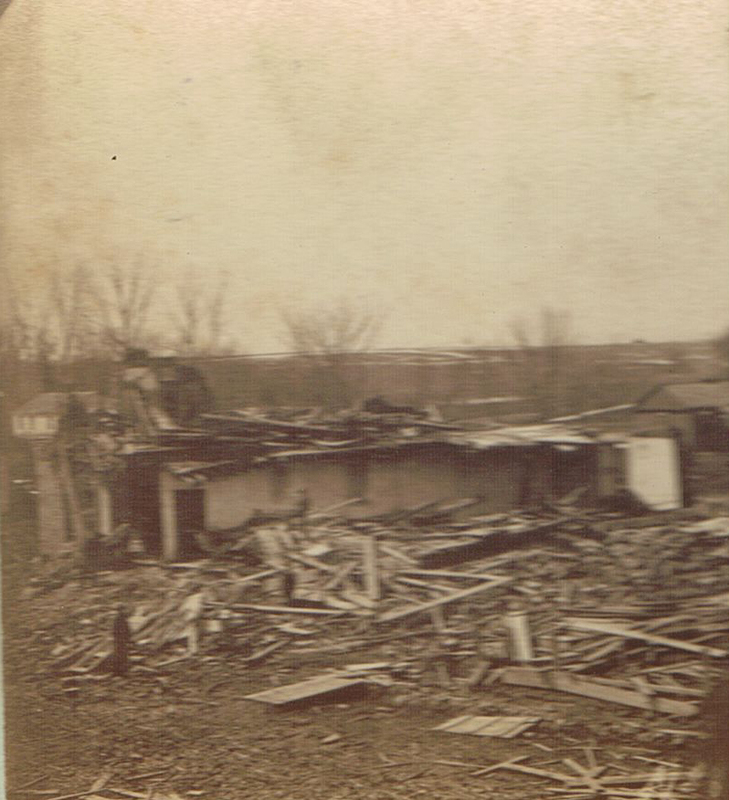 J. Clementon’s property after the 1876 tornado. 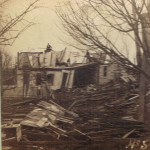 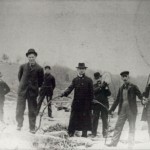 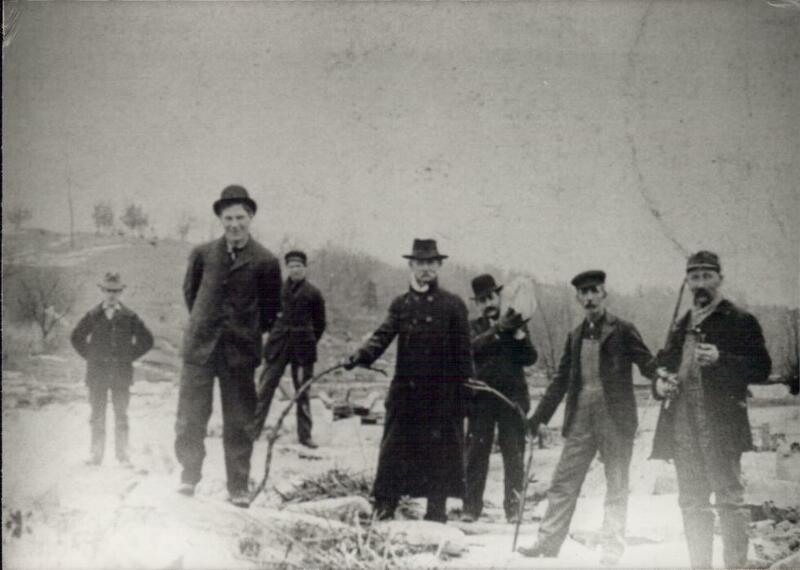 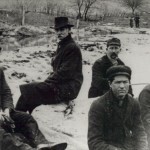 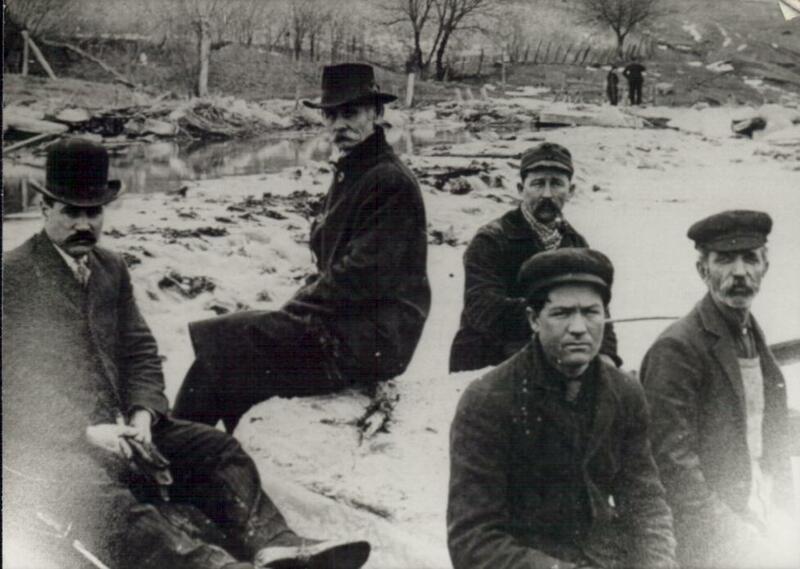 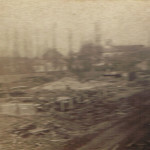 Picture taken after the tornado hit in 1876.